SHARE A BITE, SHARE A MOMENT. 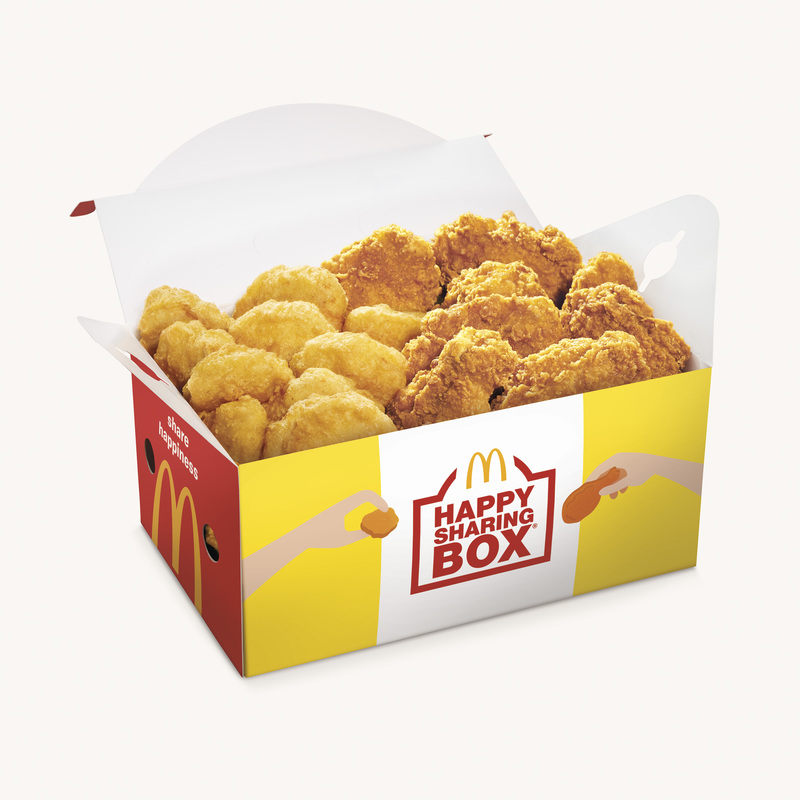 More of your favourites in one box for any occasion. 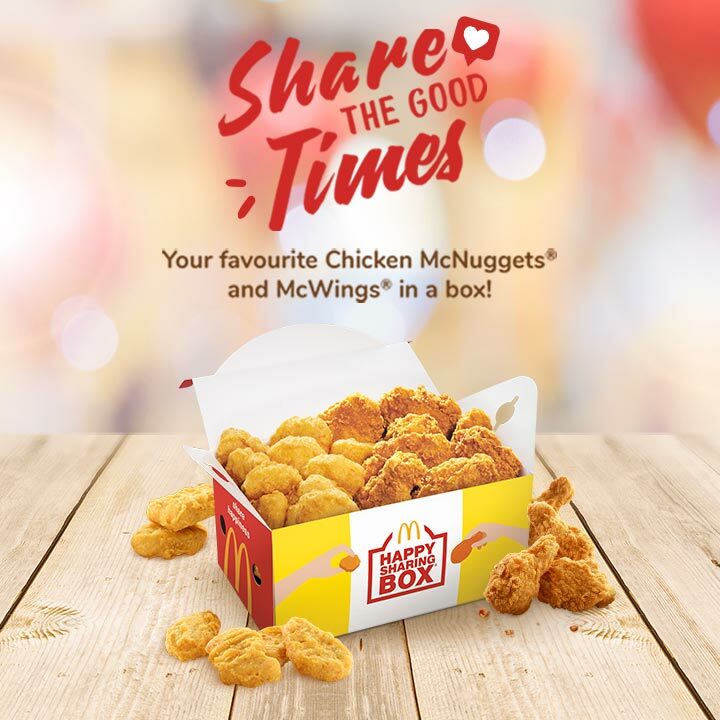 Share the joy of Chicken McNuggets® and McWings® with the whole party! Allergen information: Chicken McNuggets® and McWings® contain wheat, gluten, eggs and soybeans. Perfect for small groups and tiny cravings. 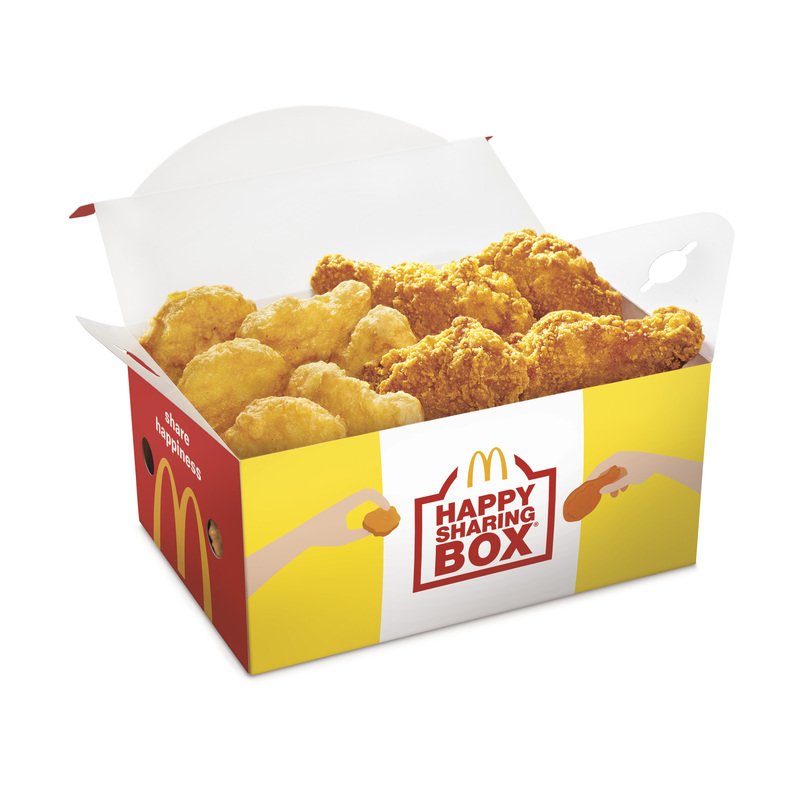 Cosy up with your favourite Chicken McNuggets® and McWings®! Visuals are for illustration purposes only. Available after breakfast hours, while stocks last.